When I was a lad I spent most of my summer holidays with my Aunt Nell and Uncle Bill Noon who lived in Rothley. Their house was on the Mountsorrel Lane opposite the tennis courts. It was double bayed and there was a very large garden and orchard, stables ran along one side. I soon made friends with the local children and our playground was the field near the tennis court. Aunt Nell had a friend, Mrs Sleath, who lived in Mountsorrel. I don't know if she was related to the building firm of Sleaths of Rothley though. My Uncle Bill worked in Leicester in the shoe trade. 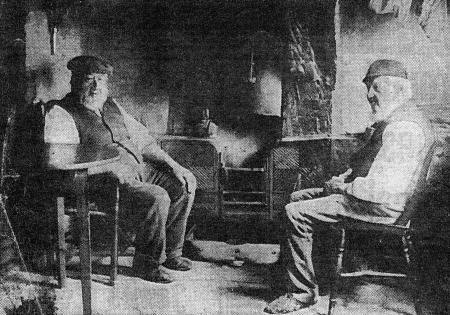 When he retired he and Aunt Nell took over the Woodmans Stroke, a quaint old pub near the village church. When I first went in I was surprised. There were two steps down into a little room to where there were barrels of beer on thralls. Aunt Nell used to go down with a big jug and then went round to the customers and filled up their glasses. There was a rumour that at closing time the village policeman used to go round for a drink. At the weekends my Mother and Father used to come, my Mother used to help with the serving. This would be in the early 1900's when the Hickling family owned it. 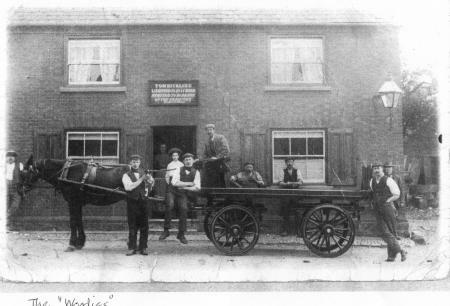 In 1904 Tom Hickling is listed as a Wheelwright and Beer Retailer, William Hickling as a Butcher and Grocer and James Hickling a Tailor. 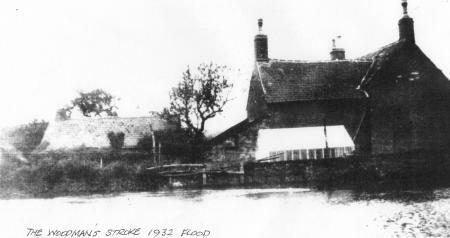 The top picture was also taken at that time when it was the local Undertakers as well as a public house. The coffins were made at the back of the building and the front room, bottom right, was used as the Chapel of Rest.